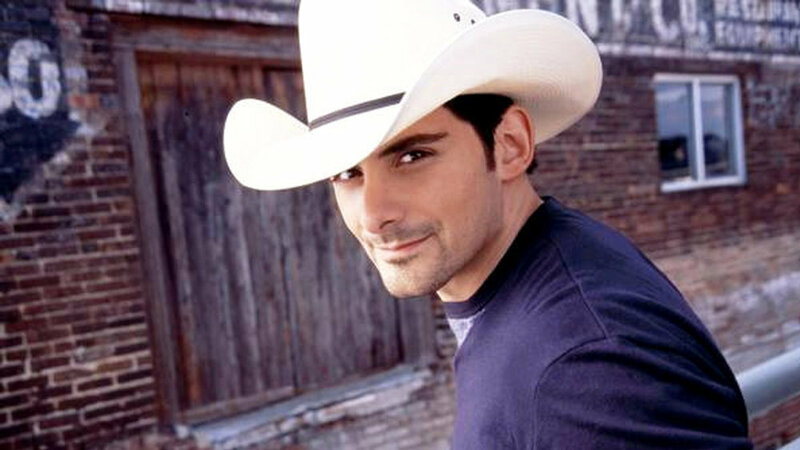 We have a fantastic modern classic for you this week taken from Brad Paisley’s 2003 album ‘Mud On The Tires’. This duet features wonderful LCM favourite Alison Krauss. The was song composed by Bill Anderson and Jon Randall. The song reached a peak of number three on the Billboard Hot Country Singles & Tracks chart and surprisingly just #41 on the Billboard Hot 100. The song won the 2005 Country Music Association Song of the Year Award and it is one of Brad’s four songs certified 2× Platinum by the Recording Industry Association of America, the others being "She's Everything", "Then", and "Remind Me". Jon Randall, one of the song's co-writers, had just divorced from country singer Lorrie Morgan before writing this song. In addition, he had lost a record deal, and had not been able to find a songwriting contract either. He found himself drinking whiskey regularly and pursuing realtionships. After seeing the condition that Randall was in at the time, his manager told him, "Hey man, every now and then you've got to put a bottle to your head and pull the trigger." Randall then wrote down that line, and decided to use it in a song. He then met Bill Anderson and began to write the song, which eventually made its way to Brad. When Brad originally discovered the song, he had told Bill Anderson that he would like to record it with either Alison Krauss or Dolly Parton; Anderson agreed to either singer (he is a fan of both). The full-length music video is set in the World War II era. It starts out in a bus full of war vets and the sound of explosions still fresh in their minds. One of the men (played by Rick Schroder, who also directed the video) is looking at a picture of him and his wife kissing under a willow tree. He then has a flashback of him swinging her in his arms under the willow tree and him saying 'I'll love you forever!' to which she replies 'You come home and we'll start our family'. He's then woken up and the bus driver tells him it's his stop, before leaving the bus the driver says 'You're home, go start your life son'. As he walks into his house, he looks at the pictures of him and his wife (Marisa Petroro) and hears her voice again saying 'you come home and we'll start our family!'. He hears laughter upstairs and walks up expecting to find his wife alone, but instead she is in bed with another man. He then leaves her and the song begins again. The first verse of the song in the video shows the man getting drunk, and not being able to get his wife off his mind. His drinking becomes chronic alcoholism that swiftly kills him due to his consumption, and the first chorus depicts his funeral and his wife crying. The second verse of the song in the video depicts the wife starting a drinking habit close to that of her late husband. During her drunken state, she dances with several men, but finds herself seeing her dead husband's face in the other men. There is a scene in which the wife pushes a man (with whom she was going to sleep) out of the room and shuts the door on him. She obviously holds herself at fault for her husband's death, and can only feel at ease while drinking whiskey from her bottle. Just before the second chorus there is a shot of her at her husband's grave crying and drinking. When the chorus starts, it cuts to her funeral, which also took place in 1947. When the song finishes, a little girl looks back at the graves and sees their ghosts, hugging and kissing and falling in love again. The little girl in the video is played by Rick Schroder's daughter. The man's tombstone indicates that his name was Richard, born 1916, and the woman's tombstone indicates that her name was Katherine, born in 1919. They also indicate that their last name was Bartlett.